But Nakashima never strayed from his wild roots. 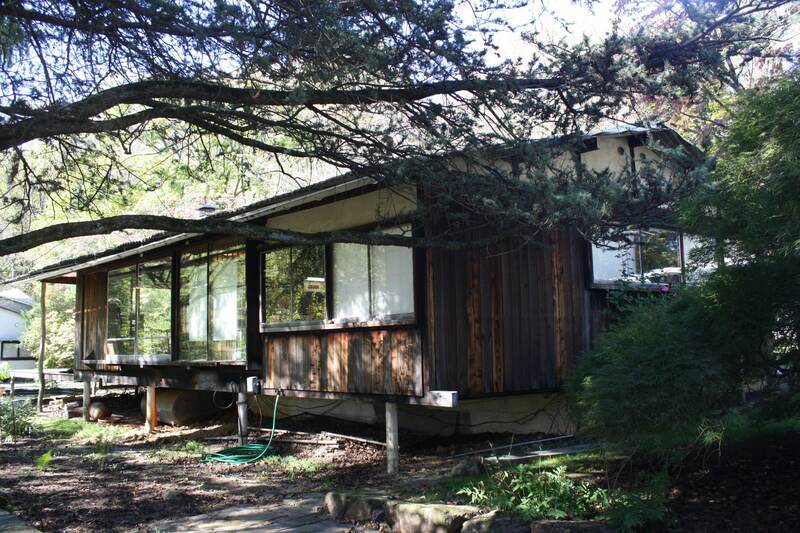 Nakashima did not dally around in America. He moved to Paris for a short while and later took a steamer to Tokyo, where he worked at architect Antonin Raymond’s firm. But Nakashima was on the move again — his firm sent him to serve as the onsite architect of a dormitory at the ashram of Sri Aurobindo in Pondicherry, Tamil Nadu, India from 1937 to 1939. It was a major feat on Nakashima’s architectural resume, considering that the dormitory was the country’s first reinforced concrete structure. Nakashima’s time in India inspired a sense of spirituality into his designs. Sri Aurobindo took Nakashima on as a disciple, and Nakashima became a self-proclaimed dual Catholic and Hindu. 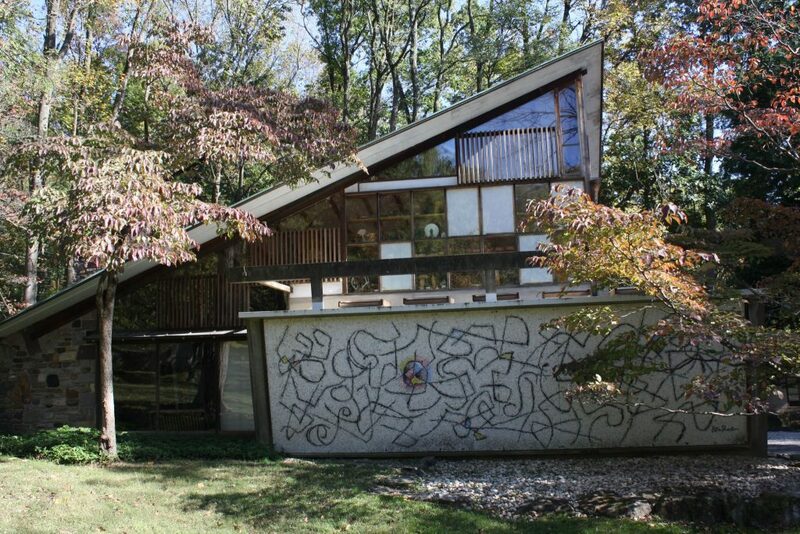 “Nakashima’s work was a social statement that harked back to the god-centered cathedral-building of Europe’s Middle Ages. What he did embodied a message to all modern societies that we must constantly remember the eternal in all that we do,” Mira Nakashima said, daughter of Nakashima. Nakashima returned to Japan after his stint in India. He briefly left after — but not before he found a fiancé and World War II erupted. The two fled for the United States, and Nakashima married Marion Okajima in Los Angeles on February 14, 1941. But they were not able to escape the war entirely. Nakashima, his wife and two children were sent to Camp Minidoka in Hunt, Idaho in 1942 after Japan bombed Pearl Harbor. 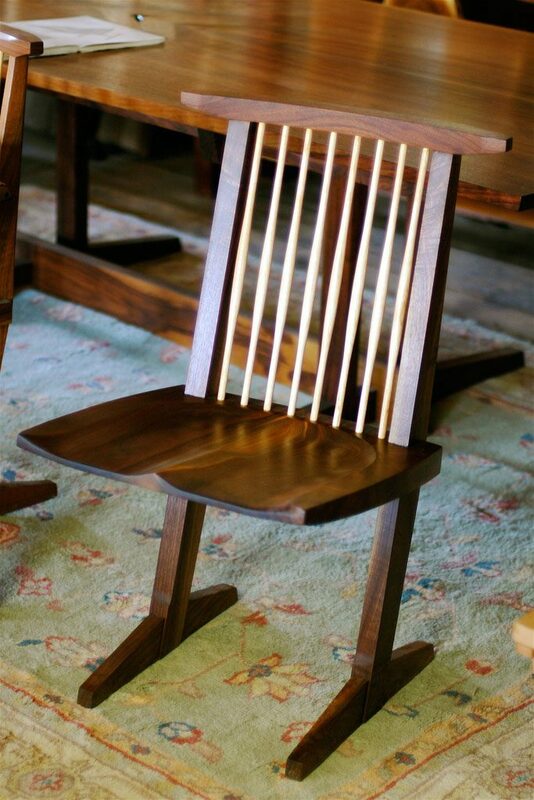 The forced move did not stop Nakashima’s new venture in craftsmanship, which he started in the basement of Maryknoll Boy’s Club constructing furniture. Even while essentially a prisoner, Nakashima learned about traditional japanese carpentry under the guidance of Gintauro Hikogawa, another resident at Camp Minidoka. A sponsorship from Nakashima’s former employer, Antonin Raymond, saved Nakashima and his family. The Nakashimas relocated from their internment camp to Raymond’s farm in New Hope, Pennsylvania in 1938. Nakashima’s status as a recently interned citizen hurt his ability to work, but in 1946 he was finally able to open a craft-furniture business. Nakashima’s success boomed thereafter. 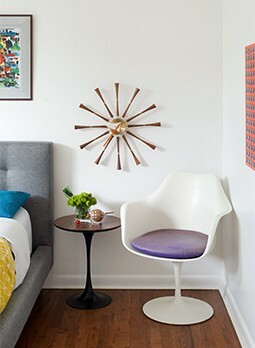 He received commissions for his designs decades until his death in 1990. People, as well as museums, sought after Nakashima’s designs and woodwork, renowned for their personal expression that showed through in the natural “grain, burls and whorls in a plank of wood,” according to 1stdibs. The title of Nakashima’s 1981 memoir, “The Soul of a Tree,” bluntly states Nakashima’s ideology in his craft. Nakashima won many awards, most notably the Order of the Sacred Treasure, which the Emperor of Japan and the Japanese government awarded Nakashima in 1983. 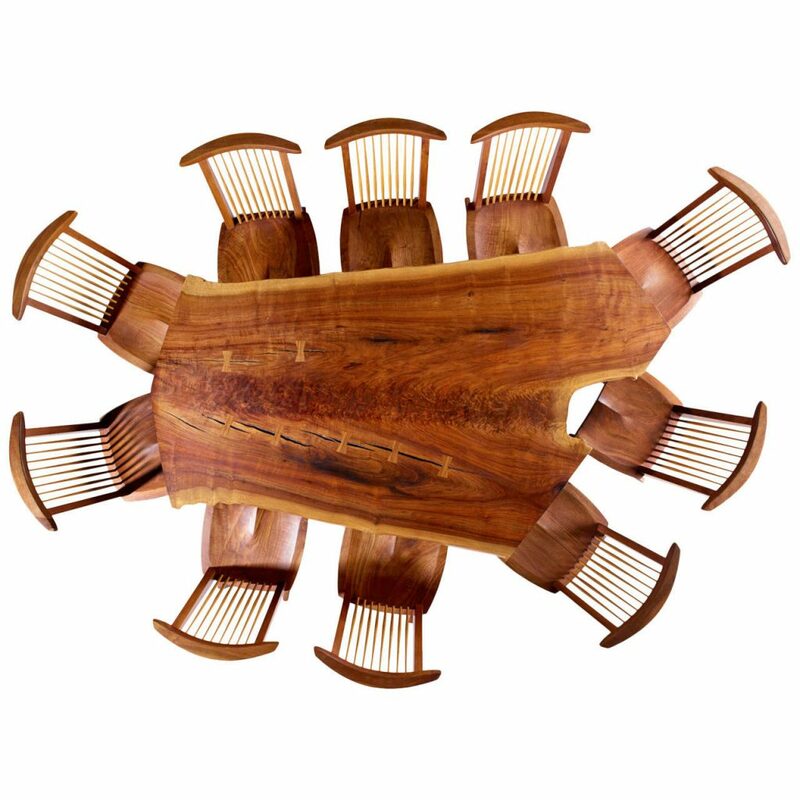 Nuts for George Nakashima? You need the new Design Issue! 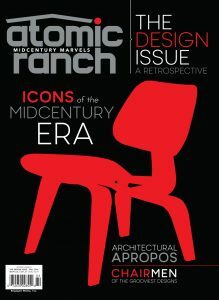 Whether it’s for the low-down on your favorite iconic designers to expert insight on furniture design, Atomic Ranch‘s second newsstand-only special issue, The Design Issue, is a must-have for your coffee table, bedside table or Tulip table! Find this extra-large issue today at your favorite newsstand or order online.